This is my first stab at using C# .NET to access a simple database. The database is a simple Microsoft Access database. 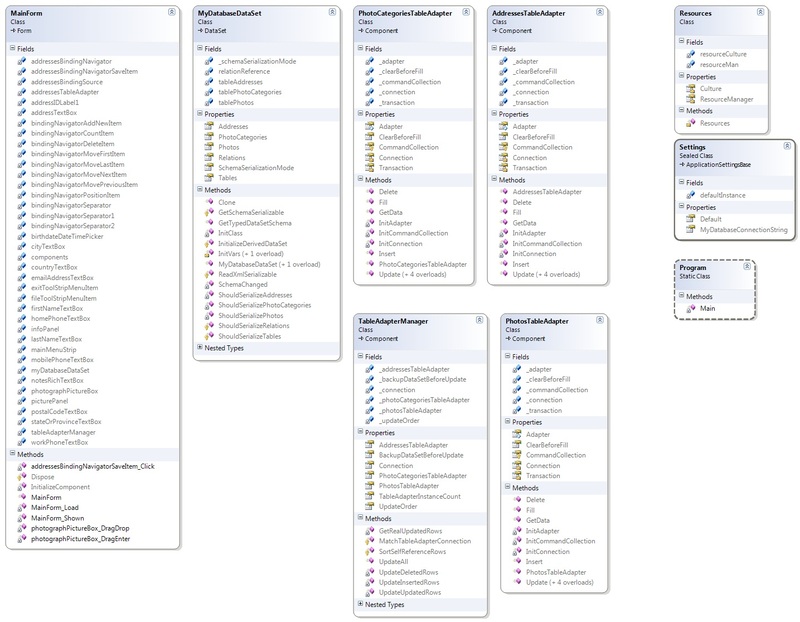 However this has showed me what you can do when a program can store information in a database. Really cool stuff!!! I’ve included 3 screenshots this time. Along with the Class Designer and Interface screenshots, there’s an overview if the dataset tables. Each dataset is doing simple SELECT and FROM queries from the main database. I’m also using the default binding navigator to scroll thru, delete, and save the changed data. 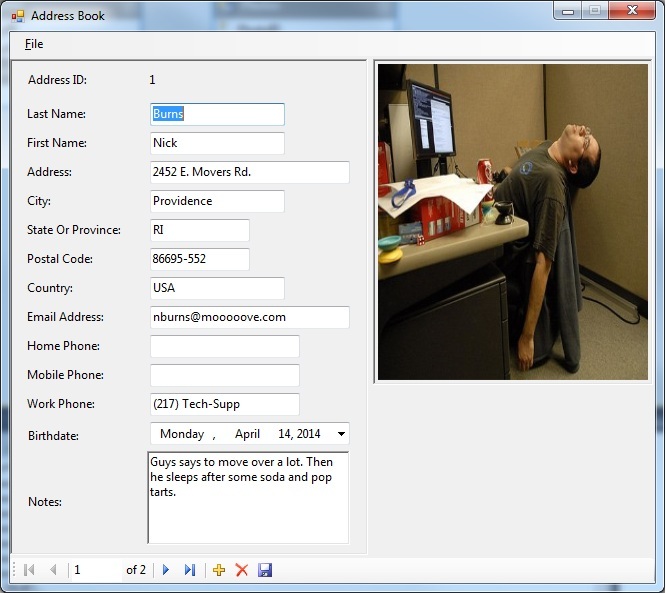 And I also enabled a drag and drop feature on the picture box to upload a picture. Also if you laugh at the sample employees and where they come from kudos. You share my sense of humor. Now onto the code. Or you can download the source for yourself. //Lambda expression for the exit menu item. // TODO: This line of code loads data into the 'myDatabaseDataSet.Addresses' table. You can move, or remove it, as needed. this.photographPictureBox.AllowDrop = true;     //This is to enable the ability to drag and drop in the picturebox.